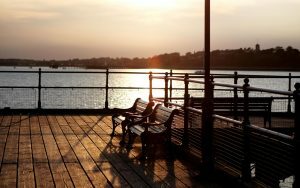 There are plenty of things to do in the great outdoors in Harwich and the surrounding areas. Venture away from the towns and you’ll find some beautiful countryside and picturesque villages, or head to the water to partake in some world-class watersports. 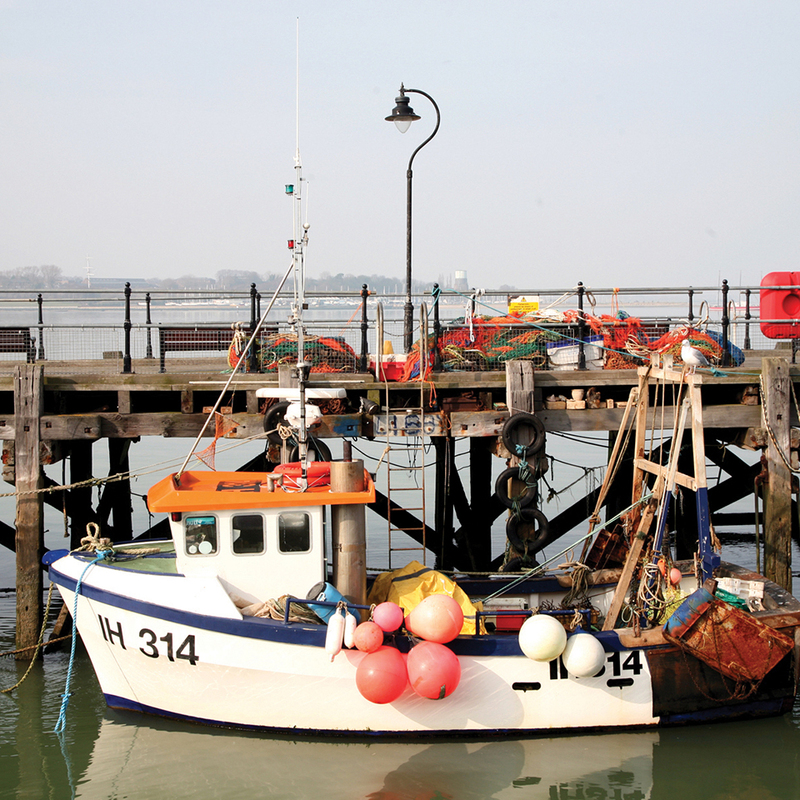 A haven for artists, nature lovers, sailors and the like, enjoy a breath of fresh air and head out and about locally in Harwich and surrounding areas. Whether you want to enjoy a leisurely walk or partake in a cycle ride you will find an interesting selection of outdoor pursuits. A must see is “Old Knobbly”, an ancient Oak Tree thought to be at least 800 years old located in the woods of Furze Hill, Mistley! If you like a peaceful seafront location with shelving sandy beaches then Dovercourt Bay is ideal. The beach holds a Blue Flag for excellence, an award that it has held for many years. The beach offers a wide range of family activities along the promenade including an impressive range of sport and leisure facilities, but it’s the golden sand that is always a highlight for visitors. 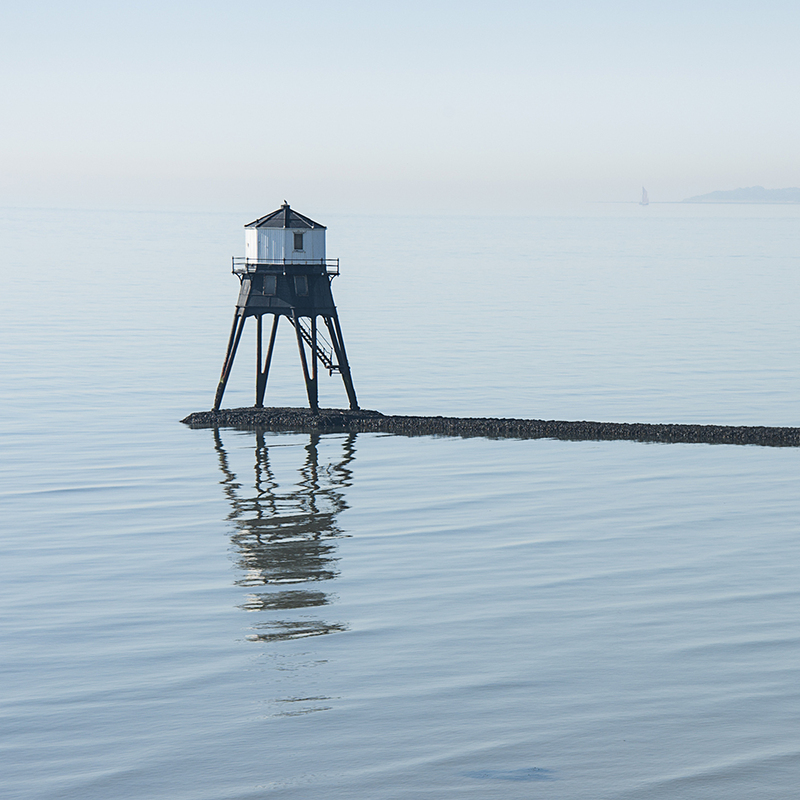 Dovercourt Bay is home to two cast iron lighthouses, the High and the Low lighthouses – one on the beach and one-off shore; they were in daily use until 1917 and restored in the 1980s. When standing on the high promenade above the beach, there are superb panoramic views over a wide expanse of the North Sea and neighbouring Felixstowe point. Visit The Beach Guide for more information. Viking Mariners is situated at the Historic Waterfront in Ipswich on the beautiful River Orwell. The power boats and sailing yachts are fully equipped to provide a unique adventure or cruising experience. You don’t need to be a regular or experienced sailor, as you will be on board in the safe hands of a skipper and hostess. The area’s nature reserves and bird sanctuaries provide excellent opportunities for bird watchers and wildlife enthusiasts. Bobbit’s Hole in Dovercourt is a small freshwater lake bounded by secondary woodland and is a valuable wildlife pocket attracting a number of bird species including the Kingfisher. for information see Visit Essex. The brand new Dovercourt Skate Park, which is situated alongside the leisure centre, is free and open all the year round and can be used by skateboarders, BMX bikes, inline skates and scooters. There are a wide range of family activities available along the promenade, including an impressive range of sport and leisure facilities at Dovercourt Bay Lifestyles. Adjacent to the beach there is also a putting green and crazy golf (during the summer months) a boating lake and a small amusement arcade. Dovercourt also has its own Skating Rink, which is suitable for all ages. Skate hire is available and details of opening hours can be found on the website. If you fancy a go at windsurfing, paddle boarding or other water based activities, then head to the Quiver Windsurfing Centre in Dovercourt Bay. Tuition and the hire of windsurfers is available, as well as SUP, Kayak & Pedalos. Harwich ‘Parkrun’ organise free, weekly, 5km timed runs around the world. They are open to everyone and are free, safe and easy to take part in. Every Saturday at 9.00am. The event takes place in Cliff Park, Dovercourt. Please register before your first run. 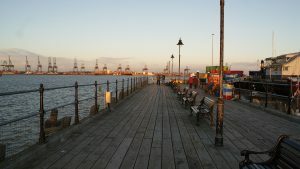 Harwich Beach is located on the confluence of the Stour and Orwell estuaries and offers an ever-changing seascape of boats and ships going into both Harwich and Felixstowe ports. The beach is a rare example of an emerging dune system in Essex, where the coast is predominately saltmarsh. This beach is good for walking, swimming and exploring the many historic attractions nearby such as the Treadwheel Crane. Harwich beach is sand dotted with sea plants, and is a resting place for fishing boats. Route 51 of The National Cycle Network is a long distance ride, suitable for the more energetic and adventurous cyclists and which passes through Oxfordshire, Buckinghamshire, Bedfordshire, Cambridgeshire, Suffolk and Essex, finishing in Harwich. Part of the route is a 25 miles ride, which forms part of North Sea Cycle Route, starts in Colchester by the tourist information centre and heads to Wivenhoe along the River Colne. The route then proceeds to Harwich along country roads. The final off road stretch takes you through the town of Dovercourt before finishing by Harwich Pier. The Harwich Society offers guided walking tours of Harwich throughout the year, which take you to the hidden gems and historical sites of Harwich. Tours start at the Ha’penny Pier. 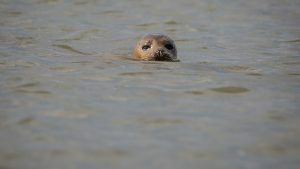 Seal watching trips are offered all the year round from Harwich to Hamford Water National Nature Reserve. On some days there are as many as 70 Seals on the mud waiting for you! 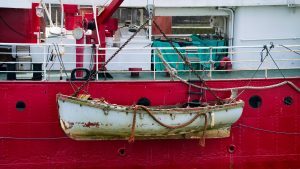 The seal trips are with the vessel “SEAL SPOTTER” and takes between 90-110 minutes, depending on tide and other vessels. The boat can take up to 12 passengers at a time. Waterproof clothes and an extra layer is advisable. Tickets can be booked online at www.sealwatching.co.uk (The booking tool knows the price, availability and how many seats are available.) Gift coupons are also available online. Departure point is from the Ha’ Penny Pier, Harwich. The Harwich Harbour Foot Ferry, which can accommodate up to 58 people on a brand-new boat, takes foot passengers and cyclists every hour from the Ha’Penny Pier across the Harbour to Shotley and Felixstowe. Daily services operate seasonally, with the first ferry starting at the beginning of the Easter Holidays 2018. Additionally, they offer river trips/sun downers starting from Harwich, Felixstowe or Shotley or anywhere on River Orwell or River Stour. Information about the service is displayed on the Ha’penny Pier. There are many great walks one can choose from which take in some of the fantastic history and picturesque countryside. The Essex Way is a long-distance footpath stretching for 82 miles right across Essex. Although it officially starts in Epping and ends in Harwich it is signposted both ways! If you only wanted to do part of it, a 16 mile walk will take you to Manningtree, where you can pick up a train to return you to Harwich. This route will take you cross country to the Stour estuary, through to Wrabness and then through Copperas Wood, a 12 hectare nature reserve that has been traditionally used for Sweet Chestnut and Hornbeam coppicing. You’ll also pass Grayson Perry’s innovative house known as ‘A House for Essex’, which is on Black Bouy Lane. Harwich & Dovercourt is a friendly club where new Members and Visitors alike are always welcome to enjoy a great venue for a day’s golf. The club was first formed in 1906, and is a 9 hole CASC registered club situated between the villages of Dovercourt and Parkeston. One of the last outdoor Roller Skating Rinks in the UK. Opened in 1947, the rink is now run by Simply Skate Ltd a local family owned company. The food kiosk has recently been upgraded and now offers meals along with light snacks an Ice Cream Parlour selling the finest Dairy Ice Cream and Gelato. If you’ve only an hour to take in this charming town, then heading to the Ha’penny Pier is a must. Depending on the time of day you can see the fishermen haul in their catch, witness the sun going down on the coast or simply sit and watch the world go by. As you walk down you’ll see the Lightvessel LV18 and the Harwich foot ferry on your way to coffee and cake at the Café on the Pier. There are certainly worse ways to spend an hour! If you find yourself in this pleasant part of England’s east coast for a morning there are plenty of things to see and do. 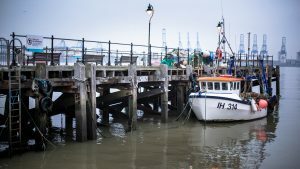 If you can wake at the crack of dawn it’s worth heading to the Ha’penny Pier to watch the day’s catch come in or perhaps try a spot of crabbing. The Lightvessel LV18 is moored here, which was used in the 60s and 70s for illegal off shore pirate Radio, and now home to a fantastic little museum which is well worth a visit. 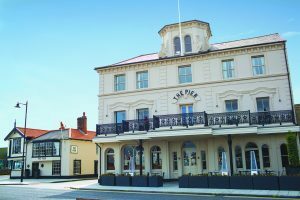 From here it is a stone’s throw to the magnificent Pier hotel, where you can enjoy coffee or brunch in lovely surroundings. 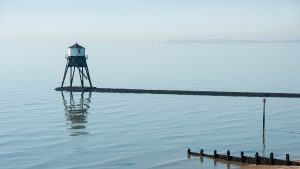 If beaches are what you’re after, a visit to Dovercourt Bay is essential for its golden sand and panoramic views over the North Sea and Felixstowe Point. Here you can see the High and Low lighthouses which were in use until 1917. 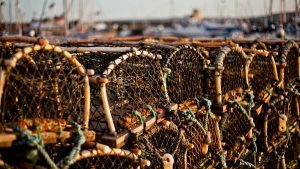 Pop into cosy pub, the Alma Inn, after a bracing beach walk for traditional ales and a freshly caught lobster lunch. 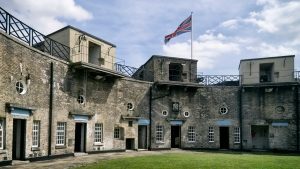 The Redoubt Fort is a hidden gem, and Harwich’s must-see attraction. Allocate an afternoon to look round the battlements and unusual exhibits. Battle re-enactments, ghost hunts and beer festivals are held here throughout the summer months, so check the calendar to plan your visit. There are many great accommodation options if you are looking to spend a weekend in Harwich, and plenty of activities to choose from while you are there! 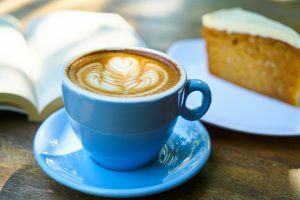 Make sure to stock up on provisions for your stay at The White Coffee House, or drop into the Harwich Town Brewing Co. for a tour and some locally brewed ale (pre-booking is a must). Seal watching tours depart for Hamford Water from The Quay on Ha’penny Pier, and are the only way to see and appreciate the creatures in their natural environment. This is a great trip for photography and wildlife enthusiasts, and is great fun for the whole family. When you return to the pier it is well worth checking out the Lifeboat museum before lunch. 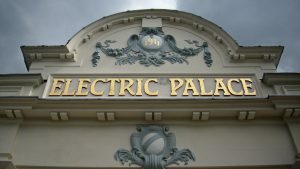 Head to the Electric Palace Theatre in the afternoon to see the latest blockbuster, indie film, or National Theatre Live Production, and soak up the atmosphere inside the cinema’s beautifully restored interior. 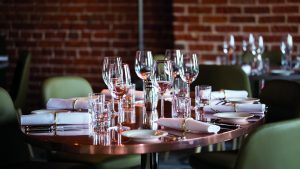 Finish up the evening with dinner and drinks at the NAVYÄRD Bar. Before you leave Harwich, make sure to visit the carefully restored Redoubt Fort with its excellent sea views and its weaponry collections. 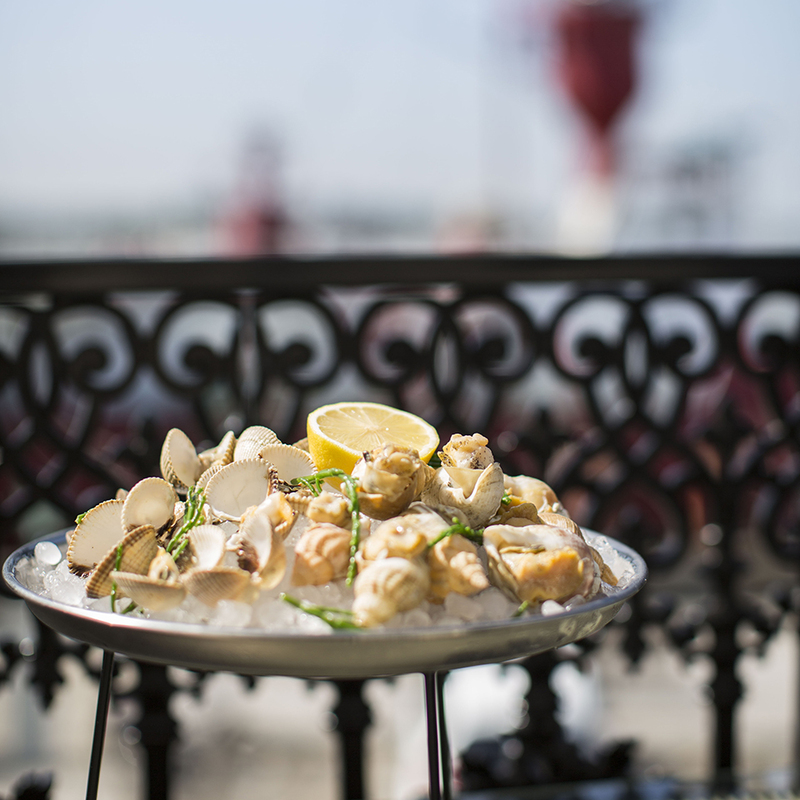 Finish your visit with traditional English fish and chips nearby at Piseas Chippy!